Our annual 2018 holiday wreath fundraiser is here. ORDER NOW for beautiful 25” Balsam wreaths decorated with white-tipped pine cones, red berries and a red velvet bow for $25 (local) or $35 (mail order). All wreaths arrive individually bagged to provide for a fresher product, longer storage, and needle containment. 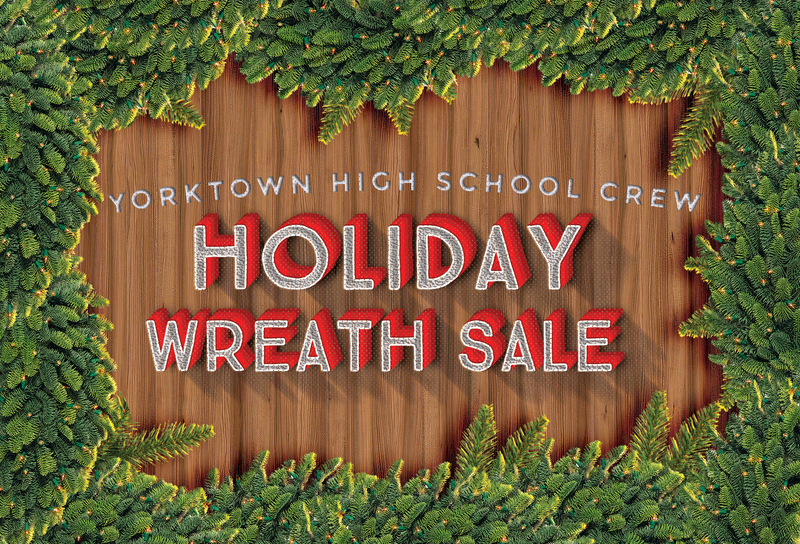 To order a wreath, please contact your favorite Yorktown rower, or wreath coordinator Jenn Vogel. All orders and payments must be received by Saturday, November 3rd. More information is included here and order forms can be downloaded here. Rowers will deliver wreaths to all local customers that first week in December. Mail order wreaths can be shipped anywhere in the continental 48 states directly from our Minnesota supplier and include a personal greeting from you. Please note that a complete street address is required for mail orders. No Replies to "Holiday Wreath Fundraiser"